"New price! Located less than a half block from Central Park, this lovely one-bed, one bath co-op apartment is an elegant jewel box of a home. 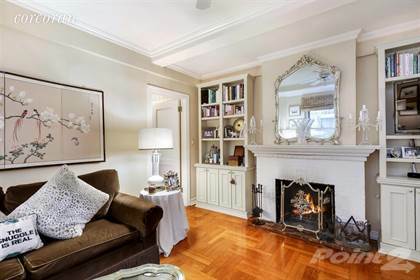 From the working fireplace to the coffered ceilings to the crown moldings, prewar details abound. The windowed kitchen has been opened to the living/dining space and features gorgeous marble counter tops, a Viking cook top, Bosch oven, Miele dishwasher and water filtration system. The bedroom has two exposures and an entire wall of closets, as well as a new through-wall air conditioner. Custom book cases and cabinets provide additional storage throughout. Classic detail coupled with modern conveniences and beautiful finishes--this apartment is lovely, yet comfortable. Call today for your appointment to see all it has to offer." Hi, I'd like to find out more information about 7 East 85th Street. Thanks so much!